ALESSANDRO PETRETTO, born in 9.5.1945 in Florence, Italy, is married with 4 sons. He got in 1969 a degree with laudem in Economics at the Faculty of Economics, University of Florence. From 1973 to 1975 he was visiting at Economics Department of University of Essex and London School of Economics (G.B.) where he was attending advanced courses and carrying on researches in public economics. He was associate professor of Public Economics at the University of Siena from 1975 to 1980 and since 1980 he is full professor in Public Economics at University of Florence (Italy). He has been Director of Economics Department, University of Florence, from 1983 to 1986. 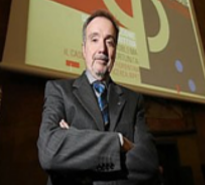 Now he is the Chairmen of the Scientific Commission of IRPET (Istituto Regionale per la Programmazione Economica Toscana), whose he was Director from 2001 to 2006. He has been the Chairman of the Public Expenditure Commission of Italian Treasury from 1995 to 2001. He is member of Editorial Board and Association Il Mulino, Bologna. He deals with welfare economics and economics of information, optimal taxation theory, fiscal federalism, health economics, regulation and privatization of Public services.